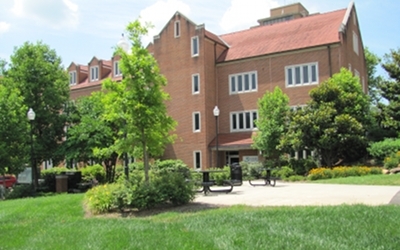 KNOXVILLE - The National Science Foundation (NSF) has awarded $18.6 million to the University of Tennessee, Knoxville, for the National Institute for Mathematical and Biological Synthesis (NIMBioS) to continue its interdisciplinary efforts in developing new mathematical approaches to problems across biology, from the level of the genome to individuals to entire ecosystems. The award covers the next five years and renews the work of the Institute, which was initially funded by a five-year, $16 million NSF award in 2008. NIMBioS is also supported by UT. Since NIMBioS was established in 2008, more than 3,500 researchers from every state in the US, Washington DC and Puerto Rico and more than 55 countries have participated in NIMBioS' scientific activities, which include workshops, smaller Working Group meetings, tutorials, postdoctoral and sabbatical fellowships, short-term visits, and a wide variety of educational and outreach events for elementary school-aged children up to post-graduate students. "Since many of today's significant scientific challenges require the convergence of multiple fields to find creative solutions, the scientific activities that NIMBioS has fostered have been highly interdisciplinary and have involved collaborations between researchers from vastly diverse backgrounds," said NIMBioS Director Louis Gross, who founded the institute. Thus, participants have included anthropologists and psychologists, game theorists and economists, biophysicists and statisticians, experts on partial differential equations and control theory, and experts from across all areas of biology. Research activities have led to more than 270 scientific publications, many in high impact academic journals, across a vast array of different areas of science and education. One area of particular emphasis at NIMBioS has been modeling animal infectious diseases, such as white-nose syndrome in bats, pseudo-rabies virus in feral swine, Toxoplasma gondii in cats, and malaria from mosquitoes. As a leading international center for animal infectious disease modeling, NIMBioS has contributed significantly to global needs in analyzing the potential spread, impact and control of diseases that can move from animals to humans, such as West Nile virus, anthrax, swine flu and mad cow disease. The renewal award continues NIMBioS' efforts in animal infectious disease but will expand activities in other areas including biological engineering, molecular biology, cell biology and microbiology, as well as offer new opportunities for graduate students to conduct research and train at NIMBioS. "NIMBioS is pleased to be able to continue to build new collaborations among diverse researchers and educate future leaders of interdisciplinary science," Gross said. To view a graphic about NIMBioS' activities over the past five years, visit http://www.nimbios.org/about/#infographic. To learn more about NIMBioS, visit http://www.nimbios.org.